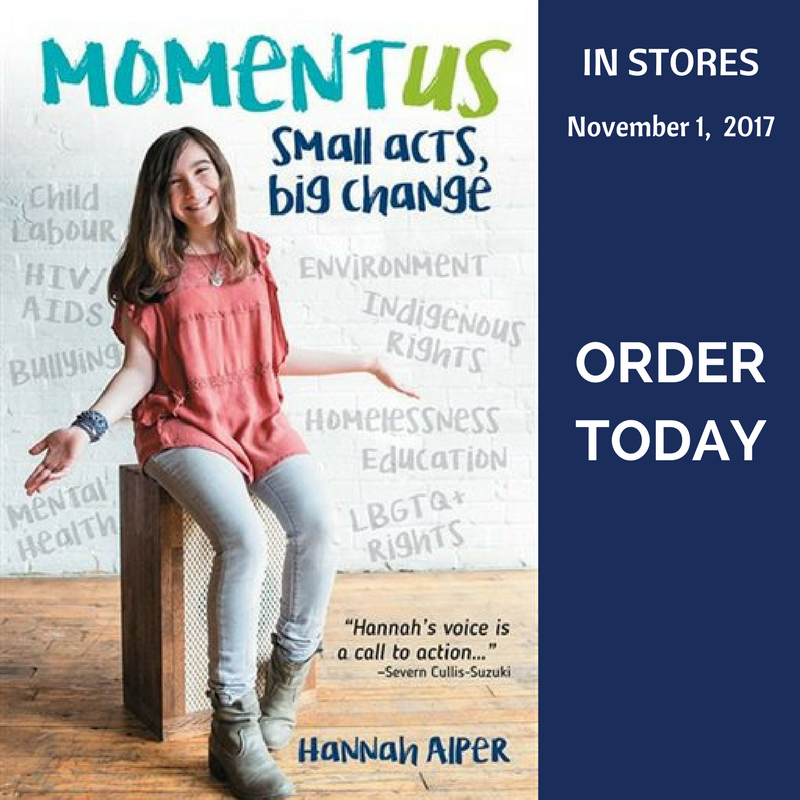 One of my favourite interviews for my book, MomentUS: Small Acts, Big Change, was Blake Mycoskie, Founder and Chief Shoe Giver of TOMS. Over the past few days, I have been inspired by him even more. On Monday, on The Tonight Show Starring Jimmy Fallon, Blake announced that on top of TOMS One for One giving model, TOMS is donating 5 Million Dollars to organizations that are dedicated to ending gun violence. This is the single largest corporate donation toward gun violence in history. I know right? But there’s more. 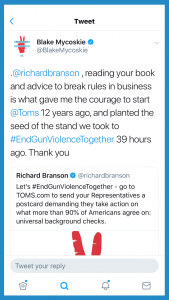 Blake truly believes in giving others the tools to create change and take action, so his team developed a technology enables you to send a postcard to your representative urging them to pass universal background checks, something more than 90% of Americans agree on. You can go to TOMS.com do this within 30 seconds, In the first two days, there have been more than 285, 000 postcards sent out to representatives all over the United States. Seeing everything Blake is doing to make the world better through TOMS motivated me to share my conversation with Blake. There were so many things that we talked about that made me think of all the amazing things he’s doing now in hopes of inspiring you. He provides truly tangible and realistic actions to take action for a better TOMorrow. The inspiration for TOMS came to Blake Mycoskie while vacationing in Argentina in 2006. He noticed that many children didn’t have shoes. That sparked his idea to create a business with a simple concept: buy a new pair of shoes and give one new pair of shoes. Ten years later, TOMS has given 70 million pairs of shoes to kids in need. The “One for One” idea has grown to include other products and other gives. Eyeglasses, coffee, purses, and backpacks help give sight, clean water, healthcare for safe childbirth, and support for anti-bullying programs. TOMS partners with over 100 organizations to make a difference in 93 countries. Fun Fact: There isn’t a guy named Tom that has anything to do with TOMS. TOMS comes from the word ”tomorrow” and the idea that we can create a better tomorrow. I’m all for that. You too, right? TOMS began with a small idea that grew to big change. I’ve been wearing TOMS and following Blake on social media for as long as I can remember, and was excited to talk to him from his home in Los Angeles. If there is one thing that has been consistent in my journey, it is role models, and whenever I get a chance to ask some of my role models who their role models are, I always take it. Clearly, Blake thinks a lot about this, too. We talked about how much there is to learn from those that have been on the path that we want to go on. For me, it was Severn, Marc and Craig who inspired me because they all began their own journeys at such a young age. Blake named Yvon Chouinard (Patagonia), Howard Schultz (Starbucks), and Richard Branson (Virgin Group) as role models. Blake said that from each of them he took away something that inspired him. They all contributed to Blake’s mindset of creating a business that has social impact and isn’t afraid to take risks. When Blake came up with the “One for One” concept, he told me that people said things such as, “That seems like a really risky idea.” or, “I don’t know if that’ll work.” and other similar comments. Reading books by and about his role models gave Blake the confidence to be bold and creative. This is really something that I believe in and I say this all the time: identify those people that prove that it—whatever your “it: is—can be done. Blake said something really interesting when I asked him if he has met the role models from his bookshelf. In your own journey, you will find role models that you will never meet. I do. I won’t meet Princess Diana, Nelson Mandela or Martin Luther King Jr. because they have passed away. For others, they’re fictional characters like Auggie, in Wonder. But I will always be inspired by their life and message that I read about. I told Blake about Issue + Gift = Change, and he reflected on the very beginning of TOMS (before it was TOMS) and pinpointed that moment he discovered his issue – these kids, they don’t have shoes. He explained that these things can come to you not only when you’re not expecting it, but when you are relaxed or open to it. Blake added that getting out of the office and getting into a new environment is important. Being somewhere different allows you to tap into creativity. Being out there in the world and really seeing, listening, and hearing about other people’s lives will uncover issues that you didn’t realize mattered to you. One of the things that I’ve been asked since I was 10 years-old is, “What are you going to be when you grow up?” At 15, I’m still figuring that out. I have some ideas, journalism really excites me right now. What I do know for sure though, is that whatever career path I take, it’s going to involve social good. 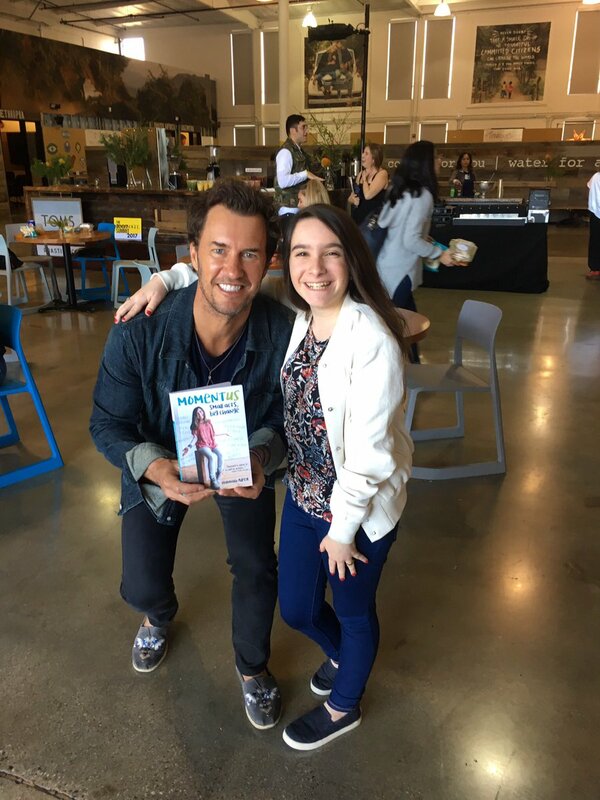 Because Blake is such a successful businessman and global change maker, I asked him to share his career advice for young people or businesses that want to make a difference. And there you have it. Passion. We should all be as lucky as Blake, to be able to build our passion into our life’s work and make a difference every day. My issue is using business to improve lives. My gift is the ability to see opportunities that others don’t. The change is organizing people around an idea. You are such an inspirational girl and dream of being just like you! I am currently trying to start a charity/organization to provide access to education to children all over the world. I truly believe education is the path to success! Do you have some tips or suggestions?